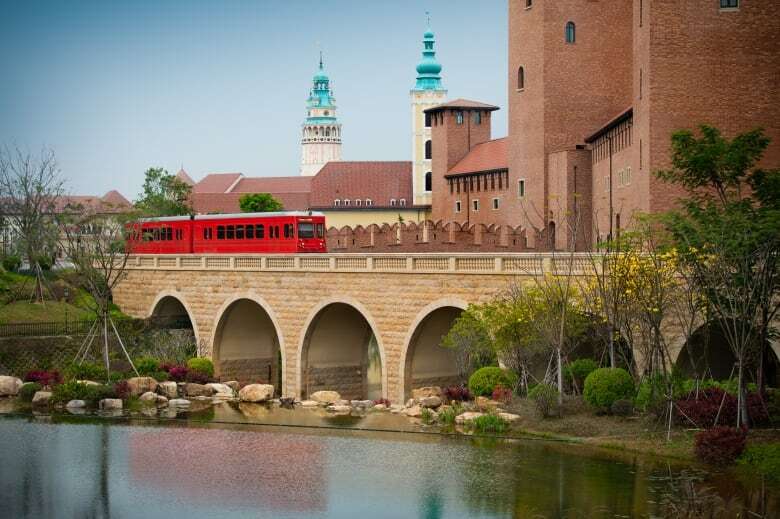 The gleaming red train clangs twice and glides from the Paris station. Prague is next, or perhaps it’s Spanish Grenada visible past the faux fountain. A boatman tends the pond, as a Bavarian castle dominates the horizon. There’s enough of Europe crammed into this corner of southern China to create an alternate world. And in many ways, that’s what this is. Huawei’s peaceful kingdom, i.e. its corporate home base, doesn’t betray a hint of the political storm raging all around the tech giant. That includes accusations of stealing tech secrets, charges of defrauding the U.S. and whispers about spying for China. One of its top executives, chief financial officer Meng Wanzhou, is wanted in the U.S. She’s been under arrest in Canada since December. The U.S. has made government contracts with any company that uses Huawei equipment illegal. 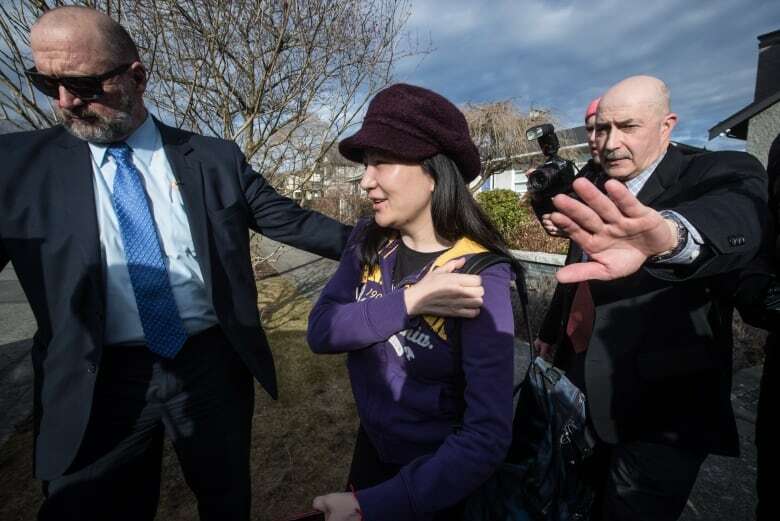 On March 7, Huawei announced it is challenging that policy in court. The confrontation seems to be intensifying. Some 18,000 Huawei employees are based on these Shenzhen-area campuses, a tenth of its global workforce, but very few outsiders have been allowed inside the privately owned telecom company — especially reporters. Except now, the pressure to explain itself is forcing Huawei to open its doors. In a rare interview with Huawei, I asked Senior Vice President Catherine Chen why the U.S. is so afraid of the company. She was being modest. Huawei is huge. When it comes to selling smartphones, Huawei passed Apple last year to become the second-biggest manufacturer in the world, behind Samsung. But Huawei’s real strength is in the field of networks, the circuits and switches, fibres and antennas that are the backbone of the internet, and the foundation of its next generation — the so-called 5G internet, which promises to electronically join pretty much every device in the world. In defending its business, Huawei seems to have realized that it has to step up its public relations. 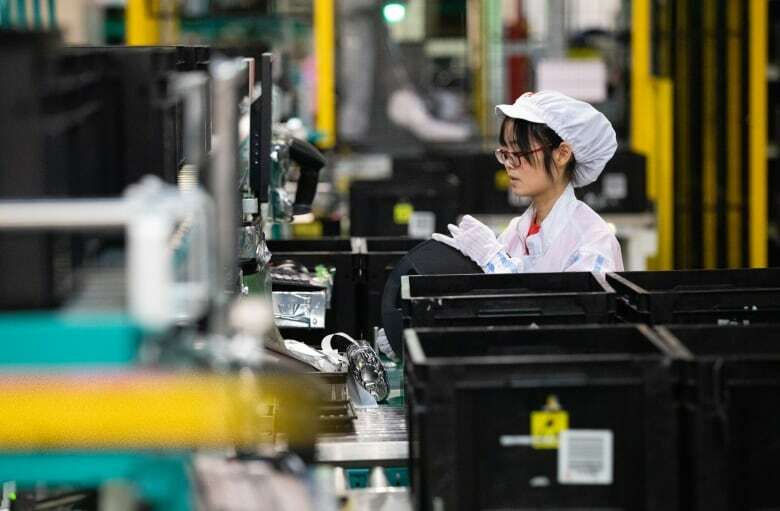 I was given a tour of a corner of Huawei’s sprawling production plant, where a small number of workers in white overalls monitor robots and conveyer belts in this largely automated facility. I was taken to labs where technicians look for new ways to cool circuit boards with little devices that become cold or hot in an instant, depending on the electrical current running through them. In a move that used to be unthinkable, Huawei also opened the doors to its cyber security lab. I was taken to a hall lined with servers in tall black cabinets, its fans humming and lights flashing. This, they told me, is where they make sure every piece of equipment can resist hackers and protect privacy. Huawei already connects a third of the world’s population — three billion people — and is way ahead of its competitors in building 5G. Those networks carry all kinds of sensitive information, from personal finances to state secrets. Huawei’s critics fear that it can use its digital dominance to install so-called “back doors” — hardware or software that could give Chinese authorities the tools to snoop on everything flowing across the network, skirting passwords and other security features. Chinese officials have tried to play down the threat, saying the intent isn’t to enlist companies as spies. Huawei’s Chen flatly dismissed that possibility, or the threat of back doors. Huawei founder and president, Ren Zhengfei, has gone so far as to say he’d rather shut down the whole company than jeopardize users’ privacy. But questions about Zhengfei’s own links and loyalty to the Chinese government have hounded Huawei. He got his start as an engineer for the People’s Liberation Army in the 1970s and later joined the Chinese Communist Party. His business and political connections are strong and his determination is legendary. 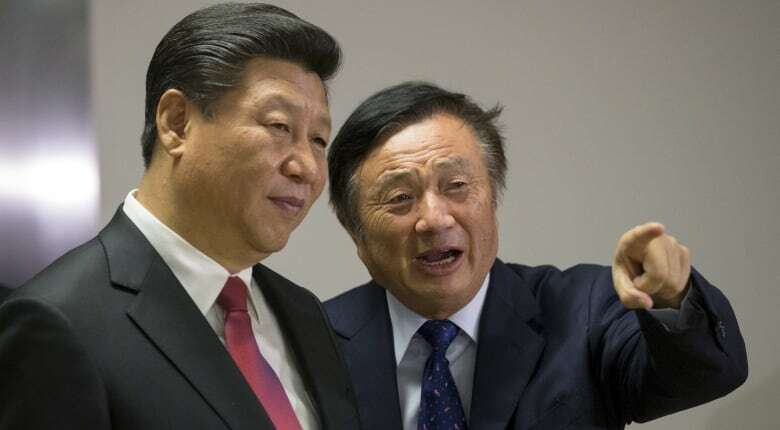 In a rare, recent interview with the BBC, Zhengfei criticized pressure against his company and belittled the U.S.
Industry observers say that same feistiness pervades Huawei, which has a business philosophy known as “wolf culture.” Company executives explain it simply means encouraging employees to sniff out the best opportunities. But analyst Elliott Zaagman, co-host of the China Tech Investor Podcast, said his studies suggest wolf culture is closer to the expectations in the Red Army, where Zhengfei served. That means working long hours and, based on allegations by the U.S. Justice Department, possibly encouraging staff to steal competitors’ ideas. Huawei strongly denies that, and Chen insisted it’s not tolerated. Huawei’s success has earned it a great deal of admiration in China. It is seen as the embodiment of a renewed nationalism advocated by President Xi Jinping, a kind of Make China Great Again movement that champions homegrown companies that have become world famous. That’s part of the reason American attacks on Huawei have touched a nerve in China. It’s also why the formerly secretive and camera-shy tech giant let a CBC reporter wander its grounds.